"You must be over 18 to register for an account." I UNDERSTAND THAT I AM RESPONSIBLE FOR ALL PAYMENTS AGREED UPON UNLESS JEAN MARIE DANCE STUDIO, LLC IS NOTIFIED IN WRITING OF STUDENT''S WITHDRAWAL. In Consideration of acceptance of this enrollment by Jean Marie Dance Studio, LLC. I waive and release any or all claims for damages I, my heirs, executors and administrators may have against Jean Marie Dance Studio, LLC, Jean Marie Mysliwiec, the instructors and staff, their agents, and assigns for any accidents or injuries received on the premises from engagement in any studio-related activities or traveling to and from its facilities or events suffered by myself/my child at said program. I have read the studio policies and agree to abide by the rules and regulations. 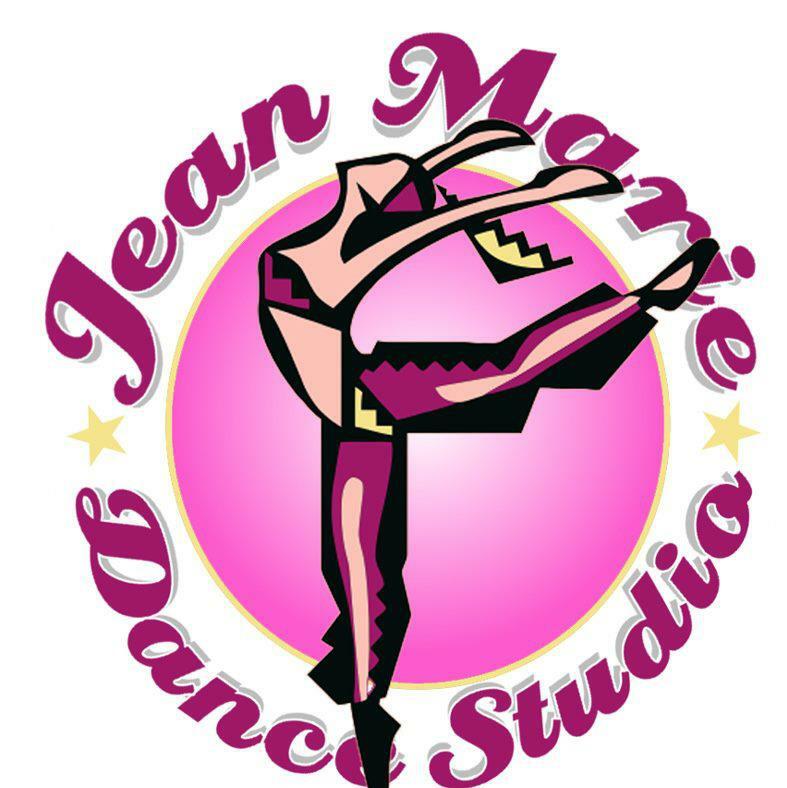 I UNDERSTAND STUDENTS' IMAGES/PHOTOS MAY BE USED TO ADVERTISE JEAN MARIE DANCE STUDIO. TUITION: Jean Marie Dance Studio’s tuition is based on a yearly fee, and is to be paid in 9 equal monthly payments and is due on the first dance day of each month. Holidays and other scheduled studio closings have been considered when arriving at tuition fees. Refunds for such closings are, therefore, not made. If your student is out for an extended period of time, you are still responsible for tuition. We are holding a slot for your dancer during this absence. FEMALE: SOLID COLOR LEOTARD AND TIGHTS, APPROPRIATE SHOE (pink or tan), HAIR SECURED OFF FACE. MALE: SOLID COLOR FORM FITTING DANCE WEAR OR T-SHIRT AND SHORTS, APPROPRIATE SHOES (tan). STUDENT WITHDRAWAL: Jean Marie Dance Studio, LLC must be notified in writing of a student's withdrawal from class. A slot will be held for your student(s) and you are responsible for tuition until written notification is received of withdrawal. CLASS ABSENCES: If a student misses a class, is absent for any reason, or the studio is closed due to inclement weather, you are welcome to attend another class within (1) one month from the date missed. Tuition is not refunded/credited for those classes. If your student is out for an extended period of time, you are still responsible for tuition. We are holding a slot for your dancer during this absence. Should a student miss more than 5 (five) classes they may be moved to a different class. Once recital dances are started, if a student misses more than 2 (two) classes or every other class they will not be choreographed into the whole number. time for class in appropriate dance attire, with a positive attitude and desire to learn. Students are expected to remain in the classroom for the entire class time, no running in and out. We ask that if a student is going to be absent from a class that you let the studio know, this is extremely important when students begin practicing their recital dances. Our teachers spend a lot of time in the preparation and choreography of recital dances and it is extremely important to be in class for practice and weekly lessons. .:. No running, eating, drinking, or chewing gum in class. .:. No hanging on barres. .:. No cartwheels or gymnastics unless supervised by the teacher. .:. No one is allowed in the dance studio without teacher supervision. .:. Do not leave children unattended before or after class. .:. Make sure to use the bathroom before class. When one student goes they all need to go. :. Check nails and/or screws in tap shoes frequently. .:. Knot and trim ballet slipper laces, leaving an inch to spare, to avoid tripping. .:. PARENTS - Please keep siblings under control. ATTITUDE AND COMPORTMENT: Students will receive technical instruction, directions, and encouragement and, occasionally, critique from their instructor(s) to propel them forward, improve their performance and keep them safe. Students are expected to attend to instructions cheerfully, follow the class routine, speak and behave with respect to their teacher and other students at all times. Under no circumstances will rude, disrespectful, or aggressive behavior be accepted by a student or a parent. Jean Marie Dance Studio, LLC, is a 'safety-first' studio. We cannot be responsible for any children left unattended in or outside the facility. Please: Do not drop off your child to walk around to the back entrances of the studios by themselves. For the sake of security, please take a few minutes to walk your child to the back entrance. You may, however, drop students off at the front door as long as you watch them enter the studio safely. At the end of class, it is your responsibility to arrive on time and walk into the studio by the back entrance accessed by going around Studio B, to pick up your child. ***PARENTS: VIDEO TAPING AND TAKING PHOTO'S OF A CLASS IS NOT PERMITTED! WRITTEN CONSENT IS NEEDED TO VIDEO AND OR PHOTOGRAPH DURING ANY CLASS,PHOTO SHOOT AND/OR PERFORMANCE. REGISTRATION: TO COMPLETE REGISTRATION YOU MUST MAKE YOUR FIRST PAYMENT. ONLINE REGISTRATION IS MADE SIMPLE IF YOU LIKE YOU MAY MAIL IN YOUR PAYMENT OR BRING IT INTO THE STUDIO. WE ACCEPT VISA AND MASTER CARD, CASH OR CHECKS. MAKE-UP CLASSES: IF A STUDENT MISSES A CLASS, OR THE STUDIO IS CLOSED DUE TO INCLEMENT WEATHER, YOU ARE WELCOME TO ATTEND ANOTHER CLASS OF YOUR CHOICE WITHIN ONE (1) MONTH FROM THE DATE OF THE MISSED CLASS. TUITION IS NOT REFUNDED FOR MISSED OR CANCELED CLASSES. RECITAL: We perform our show this year on Sunday, June 2, 2019 at the Todd Performing Arts Center/Chesapeake College. Students must be available all day on Saturday, June 1, 2019 for dress rehearsal. Students do not have to participate in the performance but please be aware we will be working toward this day all year. We learn to dance to perform and we showcase our dance training in our fun production shows! RECITAL COMMITMENT & COSTUME FEES: Both your commitment to the recital and your costume fees are due Friday, December 1, 2018. Costume Fees: $75.00 per costume/class (excluding pre-pointe classes) if student is participating in recital. If your child is not participating in the show you must notify the office by Dec. 1st in writing. We begin fittings at this time, and order a costume for every student in every class unless you have notified us in writing to the contrary on or before 12/1/2018. Important: Combo classes perform two dances per class and, therefore, we order 2 costumes for combo class participants, accordingly. Costume fees may be paid ahead in regular installments if desired. Recital Fee: $15 per family to cover the costs of theatre rental - Due by April 1, 2019. INCLEMENT WEATHER/ROADS We use the closing policies and practices of Queen Anne County schools as a guide. However, we frequently hold class even when the QA Co. school system closes or opens late. In the case of threatening weather or road conditions, please always check the website @ jeanmariedancestudio.com and "like" us on Facebook for FB alerts on weather closings and studio news. We will also send emails to the email address provided during registration. Our dance year begins Monday, September 10, 2018 and ends with our Recital Show on June 1 and 2nd, 2019. Tuition is based on a yearly fee, but is to be paid in nine (9) equal monthly payments due on the first dance day of each month. Registration Is available online, At our office or though mail. We accept VISA/MASTERCARD, cash and checks. Drop your payment in our tuition box in waiting area for your convenience or upload our easy phone app. There is a $40.00 returned-check fee and a $15.00 late fee applied to accounts after the 10th of each month. If your account is over 30 days late it will result in automatic withdrawal and a registration fee will apply to return to class. * All classes are subject to cancellation due to lack of enrollment. * There is a one-time non-refundable registration fee of $20 per student with a maximum of 2 students- $40. * Each class performs in one recital dance unless it is a combo class. Combo classes perform two! * Please review your entire registration packet for information about attire, attendance, recital and much more. BALLET PREREQUISITES: Numerous classes require a ballet class to be taken concurrently. Look for the ballet prerequisites in the class description or price sheet. * JMDS offers a 10% discount to families purchasing 3 or more classes, and to those enrolling siblings. *JMDS proudly offers a discount to deployed military families and our police officers. Please inquire for details. PRIVATE LESSONS/ CHOREOGRAPHY PRACTICE NEED to be reserved with payment 2 weeks prior either online or through Jean Marie by calling 410-304-2024 to book your appointment. Pricing may vary for duets and trio’s and will be discussed through Jean Marie. By submitting online registration you are agreeing to the terms of this package; please review it carefully, make a note of payment policies and deadlines, and our holiday and recital dates. Thank you so much we value your business! We look forward to a rich and rewarding year of dance and performance!